You and a friend could enjoy this rare, up-close performance with The Adam Ezra Group at the Anheuser-Busch Brewery in Merrimack, NH, home of the world-famous Budweiser Cyldesdales. 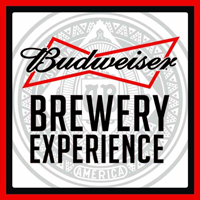 Enjoy awesome live music in a cool setting, get your photo taken with the band, and enjoy and ice-cold Bud! Visit our Tickets & Exclusive Offers page to enter to win your way in! Songs from the Stables featuring The Adam Ezra Group is presented by Budweiser at the Anheuser-Busch Brewery in Merrimack, NH—where beer, and friends, are made!